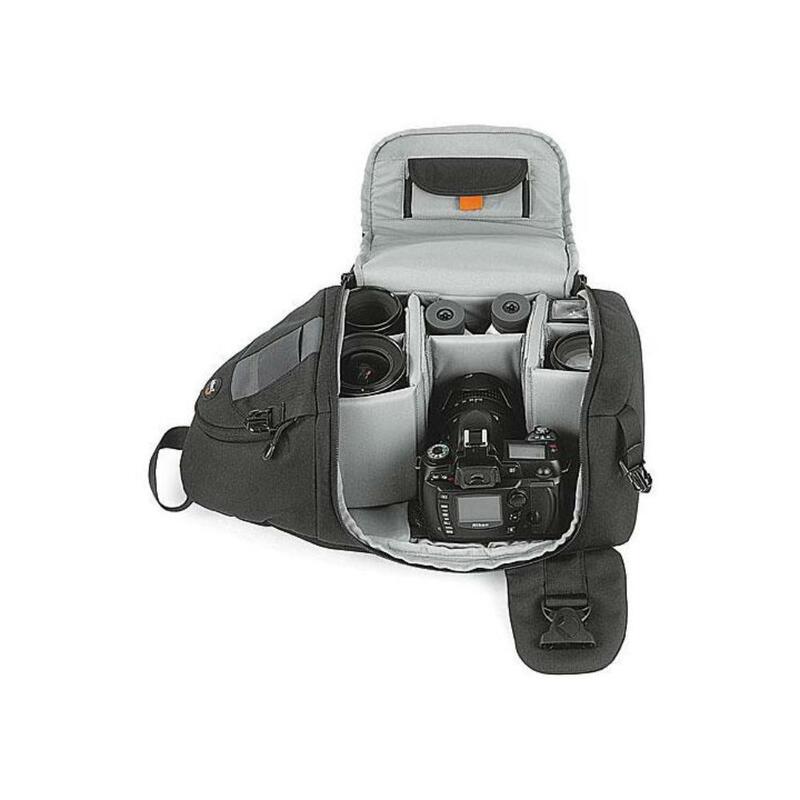 The Lowepro SlingShot 200 AW Camera Bag is a compact camera bag suitable for 1 DSLR, a mid-range zoom, plus approximately 3-4 additional smaller prime lenses. 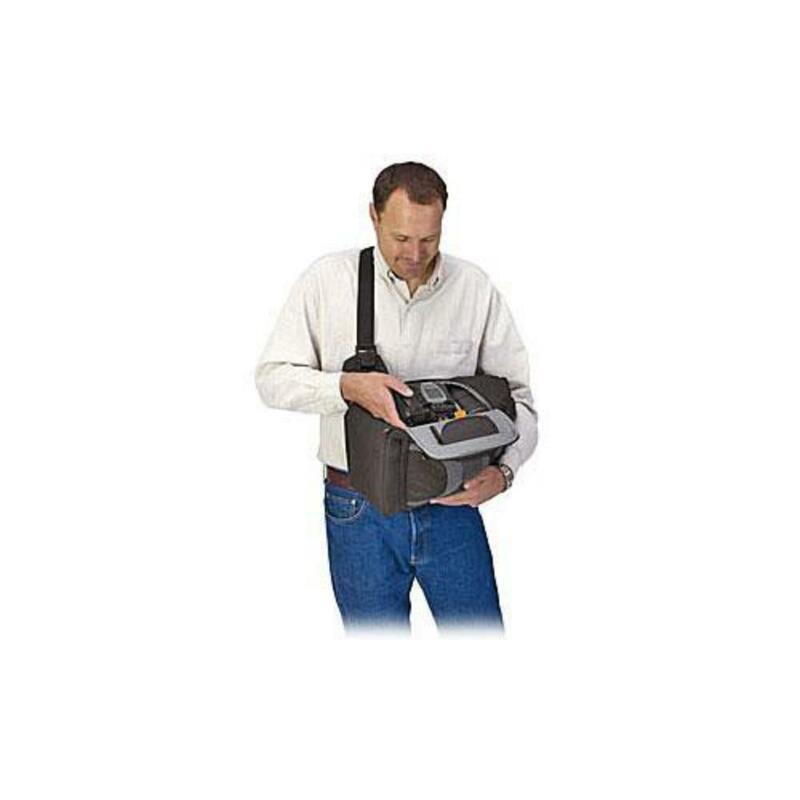 A full-access lid allows you to easily get to your gear while wearing it. 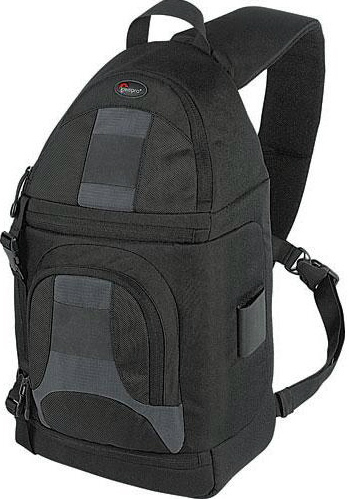 It has a built-in memory card pouch plus 2 organizer pockets. This bag is ideal for day trips and short vacations. • Loss of padded dividers may result in a fee. • Interior Dimensions: 8.7 x 5.9 x 11.8"
• Exterior Dimensions: 9.4 x 7.1 x 17.3"